Microorganisms are an integral part of the fermentation process in food products and help to improve sensory and textural properties of the products. As such, it is vital to explore the current uses of microorganisms in the dairy industry. 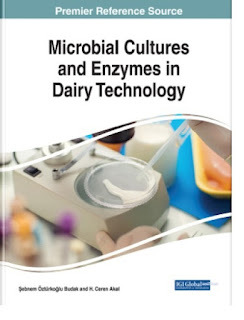 Microbial Cultures and Enzymes in Dairy Technology is a critical scholarly resource that explores multidisciplinary uses of cultures and enzymes in the production of dairy products. Featuring coverage on a wide range of topics such as dairy probiotics, biopreservatives, and fermentation, this book is geared toward academicians, researchers, and professionals in the dairy industry seeking current research on the major role of microorganisms in the production of many dairy products.